Our goal is to connect people with the best local experts. We scored home inspectors on more than 25 variables across five categories, and analysed the results to give you a hand-picked list of the best home inspectors in Edison, NJ. 10 Fingers Ink Inspection Services offers home inspection services for the Marlboro area. Their company is founded on the belief that client needs are of the highest importance, and they are committed to meeting those needs. Along with being a licensed home inspector with the State of New Jersey, they are certified in testing for mold, radon, and termites. They are a member of the International Association of Certified Home Inspectors, the Neighborhood Assistance Corporation of America, the Society of Field Inspectors, and the National Notary Association. 10 Fingers Ink Inspection Services provides home inspections that cover structural components, roofs, exteriors and interiors, heating and cooling, plumbing, electrical, and fireplaces. Inspections come with a 90-day money back guarantee. For well over ten years, All County Inspections has been the go-to home inspection company for residents of New Jersey, providing exceptional and professional service. The company specializes in both residential and commercial properties, using a thorough and detailed approach to inspection that asses all aspects of the building, from the foundation to the roof and everything in between. Additionally, All County Inspections offer services in radon testing, word destroying insect detections, and pool/sprinkler inspections. The company understands the client's need for fast and efficient service, as they usually book inspections within 24 hours and provide detailed reports upon completion of the examination. Borgess Enterprises LLC is a home inspection company in Port Monmouth, New Jersey, serving the entire Monmouth County. Their inspection services include foreclosure inspections, home consultations, loss control inspections, maintenance inspections, pre-listing inspections, project and contractor oversight, and more. Borgess Enterprises LLC also performs pre-listing inspections, post-disaster inspections, radon testing, safety inspections, and termite inspections. They offer packaged deals such as the gold package and silver package. Their silver package comes with pre-purchase inspection and termite inspection. The gold package includes the pre-purchase inspection including radon test and termite inspection. They provide a free one year follow up and free consultations. Borgess Enterprises LLC is fully licensed and insured. Coastal Home Inspection Services is a professional home inspection company located in Middletown, New Jersey that serves clients in the surrounding metropolitan area. The company offers inspection and reporting services performed by a New Jersey Licensed Professional Engineer and provides clients with the following services: full home inspections, re-inspections, wood destroying insect (or WDI) inspections, and radon testing. Coastal Home Inspection Services is a member of the New Jersey chapters of both the Association of Licensed Professional Home Inspectors and the International Association of Certified Home Inspectors. The company can be contacted for appointments by phone, via email, or through its website. Detail Home Inspections, LLC is a home inspection company in Hillsborough, New Jersey offering services to residents of the surrounding communities. The company is owned by veterans, is a proud member of the International Association of Certified Home Inspectors, and a member of the Hunterdon/Somerset Association of Realtors. In addition to straightforward residential and commercial property inspections, Detail offers termite inspections, radon testing, mold testing, well water testing, and allergen testing. Seven-day scheduling is available at Detail Home Inspections in order to accommodate the maximum number of customers' schedules. Detail Home Inspections boasts inspection reports that compete with the best in the inspection industry. G Warren, Inc offers home inspections for Middlesex County and the surrounding counties. They are committed to providing clients with honest and accurate inspections performed in accordance with industry standards and ethics. Owner and operator Gerald Warren is a licensed home inspector and radon measurement technician with the State of New Jersey, and he is a certified member of the American Society of Home Inspectors. G Warren, Inc provides home inspection services that cover foundations, roofs, basements and crawl spaces, exterior siding, garages and sidewalks, chimneys and fireplaces, attics and skylights, and patios and decks. Inspections are available seven days per week and come with a money-back guarantee. Home Quest Home Inspection Services is an English and Spanish-speaking home inspection company backed by over a decade of experience. 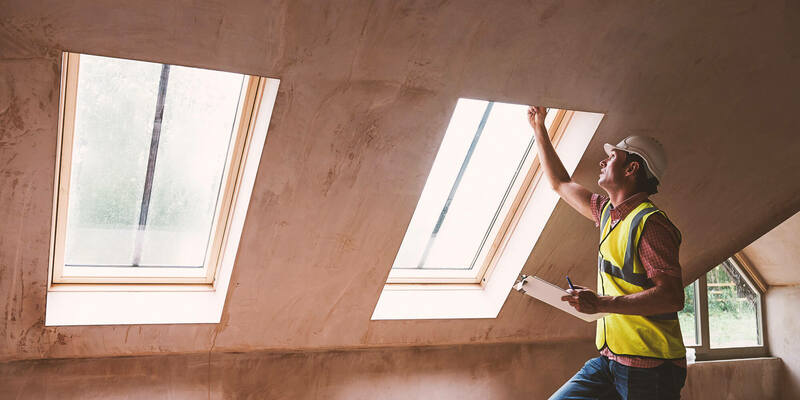 Home buyers gain confidence in a property via thorough checks of everything from plumbing to structural components, and inspections include a check for termites as well. Testing services for radon, oil tanks, lead paint, asbestos, and well water are also available. Owner Angel L Ledesma is state-licensed, a member of the New Jersey Association of Licensed Professional Home Inspectors, Inc., and a member of InterNACHI. Appointments are available on Sundays, and past clients have highly recommended the group due to its efficient, effective services and fast turnaround times. JBK Inspection, Inc. is a home inspection company founded in 1986 and located in Matawan, New Jersey. It also serves the counties of Middlesex, Monmouth, Ocean, Union, and Somerset. JBK Inspection, Inc. performs pre-purchase home inspection and conducts evaluations of the general exterior, roof area, attic area, basement area, general interior, obsolete building practices, plus more. JBK Inspection, Inc. also carries out visual examination of the plumbing system, HVAC system, kitchen/bathroom, safety hazards, and electrical system. They offer energy conservation tips and maintenance recommendations. JBK Inspection, Inc. delivers integrity, experience, and quality. It is a proud member of the American Society of Home Inspectors and the New Jersey Association of Licensed Professional Home Inspectors. Premium Home Inspections is a Colonia business that has been serving customers for more than 21 years. The business’ inspections include the electrical system, attic ventilation and insulation, the plumbing system, siding, chimney, drainage, roof gutters, the foundation, basement, heating and cooling system, floors, ceilings, walls, doors, windows, termite inspection, and radon testing. The business’ service area includes Central and Northern New Jersey. Premium Home Inspections is a member of the American Society of Home Inspectors. The business is HomeAdvisor Screened & Approved and is a HomeAdvisor Elite Service Professional. Premium Home Inspections has an A+ rating from the Better Business Bureau. Customers appreciate their attention to detail, knowledge, friendliness, efficiency, and flexibility. Hours of operation are Monday to Sunday from 9 a.m. to 5 p.m.
Regal Home Inspections LLC is a home inspection service provider located in Colts Neck, NJ, and serving central and southern New Jersey. The business is owned by Frank Delle Donne, who is a state-certified EMT and serves on the volunteer first aid squad. The company offers inspections of one- to four-family residential structures for buyers and sellers. Services provided to customers include complete home inspections and testing for lead paint, mold, and allergens. He is a member of the Colts Neck Board of Health. The company is licensed by the state of New Jersey and is a member of the New Jersey Association of Licensed Professional Home Inspectors and the International Association of Certified Home Inspectors. Rest Assured Home Inspections is a professional property inspection business located in Dix Hills, New York that serves clients in the wider local metropolitan area. The company is fully certified by the International Association of Certified Home Inspectors and holds additional certifications in Wood Destroying Organism inspections, Moisture Intrusion inspection, and Mold inspection. Fully licensed and insured for clients' protection, Rest Assured Home Inspections offers comprehensive inspection services and covers structural integrity, walls, floors, roofs, HVAC systems, electrical systems, plumbing, sewer and septic systems, doors and windows, attics and crawl spaces, garages, and more. The company is available every day of the week. Suppa Home Inspections is a home inspection company located in New Jersey that provides services to clients in Marlboro, Freehold, Monroe, Jackson, and many more areas.They are dedicated to helping their clients find peace of mind when it comes to buying or selling a home. They provide their clients with a satisfaction guarantee, and they also offer a free ninety day warranty. Suppa Home Inspections specializes in providing pre-listing inspection, new construction inspection, radon testing, termite inspection, and mold inspection. The company is fully licensed, and they provide clients with detail reports. They strive to provide highly reliable inspections to each of their clients. Terra Home Inspections LLC is a North Plainfield home inspection company backed by almost 20 years of experience. Crews use the very latest equipment, including thermal imaging and CO detectors, and perform inspections for buyers, pre-listings, radon, electric/plumbing, new constructions, commercial, mold, HUD 203(k), rentals, partials, and wood destroying insects. Owner Frank Glomb has worked for almost two decades in home inspections and construction, is a state-licensed home inspector, a NJ Radon Measurement Technician, and a NJ Home Improvement Contractor, and holds IAC2 Mold Certification and other InterNACHI Certifications as well. Frank is also a member of the NJ Association of Licensed Professional Home Inspectors. Timely Home Inspection, LLC handles home inspections in Edison and the surrounding communities. Crews perform thorough inspections of a residence to uncover anything from roof damage and structural deficiencies to a mold infestation or other hazards, and additional services cover four-point inspections, condominium inspections, and commercial property inspections. Reports are emailed to the client within 48 hours of an inspection. Employees are fully licensed and insured, the group offers a 110% money-back guarantee, and 24/7 emergency service is available. Timely Home Inspection is a member of InterNACHI, and past clients have praised the team for prompt response, fast turnaround times, and detailed inspection work.